In The Heart of Christianity Marcus Borg, a prolific writer and one time member of the Jesus Seminar proposes a new form of Christianity which he calls the “emerging paradigm.” Borg contrasts his “emerging paradigm” with conservative, Evangelical Christianity which he calls the “earlier paradigm.” This article will examine Borg’s view of four essential doctrines—the Bible, God, Jesus, and Salvation—and will argue that Borg’s “emerging paradigm” is not Christianity at all. According to Borg’s “emerging paradigm” the Bible is entirely “a human product, not a divine product”. Borg argues that the Bible should be interpreted metaphorically and understood sacramentally. It is clear that Borg’s view of the Bible is not consistent with historic Christian beliefs. As early as the first century AD, Christians believed that Scripture was “inspired by God”. For example, according to the Gospel of Matthew, Jesus called the Old Testament the “Word of God,” and the author of Second Peter called Paul’s writings “Scripture,” saying that holy men of God spoke as they were moved by the Holy Spirit. 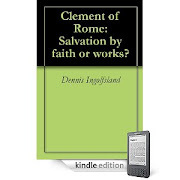 This view of the inspiration of Scripture was continued into the second century with writers like Clement of Rome, Justin Martyr, and especially Irenaeus who quoted extensively from both the Old and New Testaments and clearly believed they were inspired by God. Borg’s denial of the divine aspect of the Bible clearly places him at odds with earliest Christian teaching. Borg is not suggesting that God speaks to us audibly, but in other ways including “internal proddings and leadings”. Unfortunately, many Evangelicals approach the Bible in the same way. They read a Bible passage waiting for some kind of feeling or impression, and then naively assume that this is God speaking to them regardless of what the biblical text actually said in its original context. Ironically, the second and third century Gnostics also abused the Bible this way. They either “cherry-picked” biblical verses out of their original contexts and twisted them beyond all recognition, or they downplayed biblical revelation in favor of their own “revelations.” This practice was vigorously condemned by early Christian apologists like Irenaeus and Hippolytus. Finally, since Borg believes that many of the Bible stories never happened, he uses what he calls the “historical-metaphorical interpretation” which emphasizes metaphorical and “more-than-literal” meanings. All Bible scholars acknowledge that the Bible contains metaphors, but for Borg metaphor is not just a figure of speech but a thoroughgoing way of dismissing anything in the Bible that he doesn’t believe or that is politically incorrect. Although Borg’s metaphorical method is designed to make the Bible more palatable to modern Americans, the method fails. Even if we interpret the stories metaphorically, and even if we sidestep the issue of whether the stories actually happened as Borg urges us to do, the biblical stories are still powerful stories of God’s judgment on sin. For example, Borg argues that although the Genesis creation story never happened, understood metaphorically, it expresses the truth that God is the creator, creation is good, people are created in God’s image, something has gone wrong and we want to return. But even if the creation story is understood metaphorically, it is still a story about human rebellion against God that ends in judgment! Similarly, the stories of the Flood, Tower of Babel, Sodom and Gomorrah, the Judges, and Israel’s exile are all stories of judgment, as are the warnings of the prophets. Even if the Gospels were understood as one big metaphor, the theme of the story would have to be that people rebelled against God’s Son, whom God vindicated in resurrection, and whom God will one day send to judge the world. In other words, even if we adopted Borg’s metaphorical hermeneutics, we still come up with a theology that is a far cry from the new paradigm that Borg is proposing. For example, Borg heard a sermon in an Evangelical church in which the pastor preached on the empty tomb of Jesus by continually referring to people who had suffered betrayal, grief, and shattered hopes. After each example the pastor would repeat “but the tomb was empty”! Borg’s point was that this pastor was not preaching what the passage actually said, but was treating the resurrection of Jesus metaphorically as a way to make a point about hope in the midst of suffering. Unfortunately Borg is right. While giving give lip service to the importance of the Bible, Evangelical pastors regularly jump immediately from cherry-picked proof texts to modern application stories without pausing first to determine what the divinely inspired author intended to communicate to the original audience. This allows the speaker to twist the text to say anything he or she wants it to say. Borg says that when his students tell him they don’t believe in God, he often asks them to describe the God they don’t believe in. He says they usually describe the God of the “earlier paradigm” and Borg tells them “I don’t believe in that God either”. In Borg’s view, the universe is not separate from God but “in God.” Borg sees God as a “presence” but says “I have no problem…addressing God as if God were a person” (emphasis mine). It is clear, however, that the God of the Bible is much more than just a “presence” (whatever that is). Jesus calls God his Father, and Moses speaks to God “face-to-face.” God is described as one who has emotions and wisdom, one who communicates to the prophets and responds to the prayers of his people. The practical implication of Borg’s view of God is seen most clearly in his discussion of prayer in which Borg argues that God never intervenes in human affairs. Yet God is described throughout the Bible as intervening in human affairs. God creates the world, sends the flood, delivers his people from Egypt, and does miraculous signs through the prophets and apostles. Even if these stories were only metaphors, they still point to a God who intervenes in his creation. Far from being the personal God of the Bible, Borg’s god actually seems more like the impersonal force of Buddhism or Hinduism than the God of Judaism or Christianity. According to Borg, the historical Jesus did not even think he was the Messiah or Son of God. Jesus was just a Jewish mystic, a wisdom teacher, a social prophet, a movement founder and a healer (though not a supernatural healer), who was “killed because of his politics”. The Gospels, of course, paint a very different picture. The Synoptic Gospels, all present Jesus as one who thought he could forgive sins and who thought he had authority over the Torah. In a Jewish context (and context is crucial!) only God could forgive sins and only God was above the Torah! The Synoptic Gospels also present Jesus as the Savior and the world’s judge, but in a Jewish context only God was the Savior and only God would judge the world. The Synoptic Gospels indicate that the prophecy of Isaiah 40:3 was fulfilled as the messenger, John the Baptist, prepared the way for Jesus, but in Isaiah 40:3 the messenger was preparing the way for God! The view of Jesus in the Synoptic Gospels, therefore, is the same as that of John’s Gospel which places so much emphasis on Jesus’ deity. 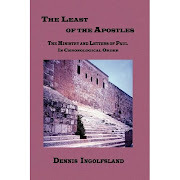 This view is also affirmed in the writings of Paul and other first century New Testament writers who present Jesus as Christ, Savior, and Son of God. This view of Jesus is also supported by second century Christian documents like, the Didache, the Epistle to Diognetus, and the writings of Ignatius, Justin Martyr, Tetrullian, and Irenaeus. That early Christians believed in the deity of Jesus is supported even by ancient non-Christian writers like Lucian and Pliny. In fact, contrary to The Da Vinci Code which says Jesus was portrayed in early “pre-Constantine documents” as entirely human, even the “pre-Constantine” Gnostic gospels, etc. present Jesus as a divine being. It was not his divinity but his humanity that the Gnostics tended to deny. The idea that Jesus thought of himself, and was thought of by others, as much more than Borg’s “Jewish mystic” is very clear from multiple independent sources, not only in the Bible but in non-biblical sources as well. According to Borg, “The Bible is not about the saving of individuals from heaven, but about a new social and personal reality in the midst of this life”. “Salvation is about…life in the presence of God, now and forever”. While acknowledging that “prolonged injustice has consequences,” Borg sees God as a God of love in contrast to the “earlier paradigm” which is, “a religion of threat, anxiety, and self-preservation”. Borg is right that the new life is not just about the hereafter but begins as soon as we are saved. Borg is also right “that prolonged injustice has consequences” but he fails to acknowledge that all injustice may have consequences—eternal consequences apart from Christ. Borg apparently wants to believe that it is only the really bad people who are in danger of such consequences. This, of course, misses the whole point of the Gospel message which is that all people fall under God’s condemnation apart from Christ. Borg rightly criticizes those who make faith entirely about mental agreement with certain facts, but John Calvin, hardly part of the “emerging paradigm,” also criticized those who thought saving faith was mere mental assent to certain facts. Borg, however, commits the opposite error by making faith almost entirely a matter of the heart and by denying that faith involves certain facts. Borg does this, no doubt, because, as his books make clear, he doesn’t believe these facts. For example, Borg does not believe in Jesus’ deity, atonement, or bodily resurrection. It is possible, of course, to believe these things intellectually without being saved, but it is clear from First Corinthians 15 that faith that is not grounded in facts is useless. If Jesus is not who the Bible says he is, we might as well have faith in Santa Claus for all the good it will do! According to Borg, “the way’ embodied in Jesus is the path of death and resurrection” which, he says, is an idea common to all religions. In context, however, John 14:6 is not discussing some abstract philosophy of “the way” as the path of metaphorical dying and raising. The passage asserts, rather, that Jesus himself is the way and that “no one comes to the Father but through me,” a phrase Borg conveniently avoids. 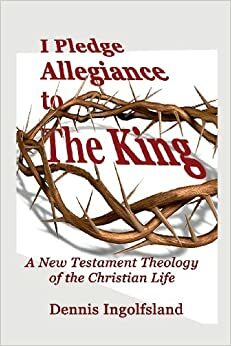 Borg says that Christians can worship Jesus without taking away from the value of other religions because “Jesus is for us Christians, the decisive revelation of what a life full of God looks like” (emphasis mine). If this is true, however, then for Muslims, Muhammad must be the revelation of what a life full of God looks like. Muhammad was a warrior and ruler who raided caravans to steal their goods and who sold his female captives into slavery. He personally ordered literally hundreds of executions and sometimes took part in the killing himself. Jesus, on the other hand, was not a warrior and resisted all efforts to make him king. He never tried to convert anyone by force and taught his followers to love even their enemies. The point is that Muhammad and Jesus seem to be going in two entirely opposite directions. Are both paths a revelation of what a life full of God looks like? The problem is deeper than just the contrast between Muhammad and Jesus. Judaism, Islam and Christianity all affirm a God who is a “person-like being.” Hinduism, Buddhism, and Borg, on the other hand, affirm a god that is not “person-like.” Both views of God/god cannot be right. Contrary to Borg, blindly affirming that all religions are valid is simply absurd. Borg’s “emerging paradigm” affirms a non-Jewish, non-Christian view of God. It denies that the Bible is a revelation from God. It denies that Jesus is the Son of God, or that he died for our sins and rose again. Imagine someone who claimed to be Muslim but denied that Muhammad was a prophet or that the Qur’an was revealed by God, or that belief in Allah was necessary for salvation. Muslims would rightly protest that such teaching is not Islam. Yet Borg and his in the “emerging paradigm” deny or redefine virtually every fundamental doctrine of Christianity and yet they continue to call themselves “Christian.” They have a right to believe what they want—they can call their religion “Borgism” if they like—but to attempt to persuade others that this “emerging paradigm” is “The Heart of Christianity” is both deceptive and dishonest. I am not certain if I understand the tower of Babel comment. But I would ask tower of Babel? A new global language? The future of World communication?